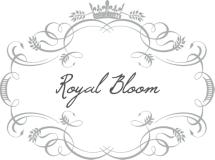 We are pleased to offer exquisite, personalized floral designs for each of our beautiful brides and studly grooms! We take into account all the aspects of your wedding to ensure your flowers enhance your theme and reflect your personality. Due to ever-changing price of flowers and extremely unique requirements for each event, a custom proposal is prepared for all weddings. Fresh thinking thrives in an atmosphere of natural beauty. Our tasteful designs add sophistication to your important professional functions, whether subdued, ultra masculine, or lavishly decadent. For those who enjoy tapping into their own creativity, we offer seasonal workshops that allow you to revel in the soul-nuturing activities of working closely with nature. From creating your own centerpieces, to crafting a terrarium, we hope to provide a place to nurture the artist in you! Click here for upcoming workshop details. From design conception to the star at the top of the completed tree, we create fresh and faux themed Christmas trees that will be the talk of the town! We know it's difficult to think about the holidays early in the year, but sourcing of products is done many months in advance, so please plan ahead!